Entire newborn screening process can be controlled and monitored along with patient reporting and follow-up with the help of one comprehensive information management system. Newborn screening software is widely adopted worldwide and represents the state-of-the-art in data organization, storage, and analysis. Specimen Gate Laboratory Enterprise Edition of PerkinElmer allows two way communications between punching devices and instruments, allow interfacing with third party instrument too. This software comprises of quality control data management and cutoff analysis tool as well. Similarly, PatientCare software of PerkinElmer enables the users to define follow up procedure templates for each disorder in the test panel. Waters and PerkinElmer form newborn screening collaboration to deliver and support advanced screening of newborn babies for metabolic disorders — one of the most widely accepted procedures in preventative paediatrics. The Ministry of Health, Japan in 2011 introduced the use of mass spectrometry in newborn screening and in 2014; the whole nation started using it for 19 critical conditions to prevent mishappenings with the new births. More than 20 states along with the Navajo Nation and the District of Columbia have adopted screening programs and put into practice for the welfare of the society. The presence of Federal Bodies indulged with collocation of quality assurance programs and modify the awareness schemes to gain faith that may lead to decline in number of deaths caused due to negligence. Rising prevalence of congenital disorders responsible for mental retardation, availability of advanced screening and favorable reimbursement policies tends to promote the newborn screening software. To improve presence and ensure sustainability major players are constantly engaged in advancement of technology that drives the newborn screening software market. Product shortcomings, less perception of new products, unmet needs, less penetration of advanced medical technology in urban areas, lack of trained personnel and less knowledge of reimbursement reforms to the rural public hampers the global newborn screening software market. The global newborn screening software market is anticipated to reach USD 0.35 billion by 2024 at a modest CAGR of 6.45% over the forecast period owing to increasing array of newborn diseases. Geographically, North America dominates the global newborn screening software market by acquiring the market share of 47.5%. 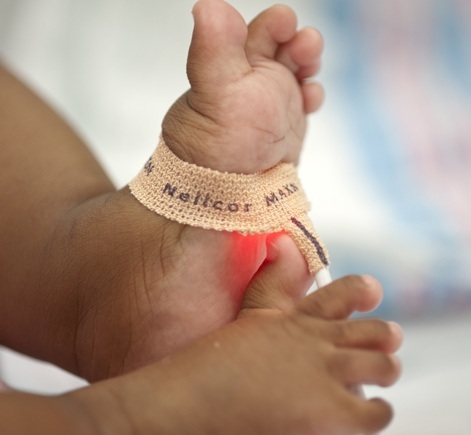 North America tends to account for USD 0.06 billion by 2024 in global newborn screening software market at a CAGR of 6.5% over the forecast period owing to 100% screening of over 5 million neonates is carried out in the North America annually and encouraging efforts by healthcare providers and government agencies to prevent longtime disabilities in newborns. APAC newborn screening software market is expected to witness the fastest growth of over 6.6% over the forecast period owing to presence of large untapped opportunities for market players and government initiatives in order to prevent the occurrence of congenital disorders.